Videos, Pictures, and Stories about what we do. Tailored for the Public. 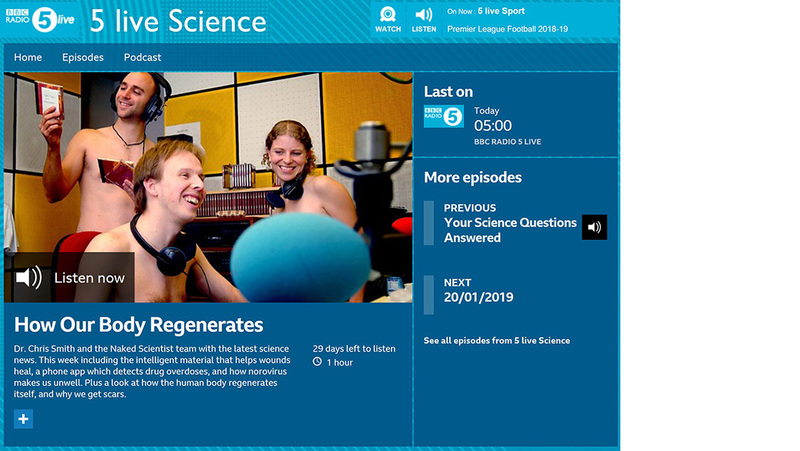 Dr Almquist speaks with Hannah Laeverenz Schlogelhofer from The Naked Scientists about using our TrAPs for wound healing as part of 5 Live Science on BBC Radio. We are pioneering a new approach to healing damaged tissues using DNA nanotechnology, which we call TrAPs: Traction Force-Activated Payloads. This bioinspired approach uses the ability of cells to pull on materials to activate therapeutic proteins, and forms part of our approach to creating dynamic biomaterials. Interested in learning more? Check out our publication describing the TrAP platform! Diabetic foot ulcers are a truly devestating complication of diabetes. In this video, Dr Almquist talks about what we are doing to try and develop transformational new approaches for healing these wounds. This presentation is from the 2017 World Economic Forum Annual Meeting of New Champions in Dalian, China.